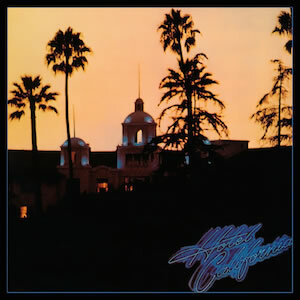 Just five days before the 40th anniversary of the Eagles classic “Hotel California” reaching No. 1 on the Billboard Hot 100 comes news the band is suing a Mexican hotel for being a bit too much like the song. The Eagles allege the Todos Santos hotel in Baja California Sur, which opened under the name “Hotel California” in 1950, plays the song “Hotel California” as well as other Eagles songs inside the hotel and sell T-Shirts labeling the hotel as “legendary,” which confuses guests into thinking the hotel has something to do with the band. The hotel was bought in 2001 by Canadian couple John and Debbie Stewart, who the Eagles allege began packaging the hotel to associate with the band. The suit was filed in L.A. federal court and seeks damages as well as a halt to infringement, Reuters reports.